Does this represent the best qualified Installations team in the Industry? 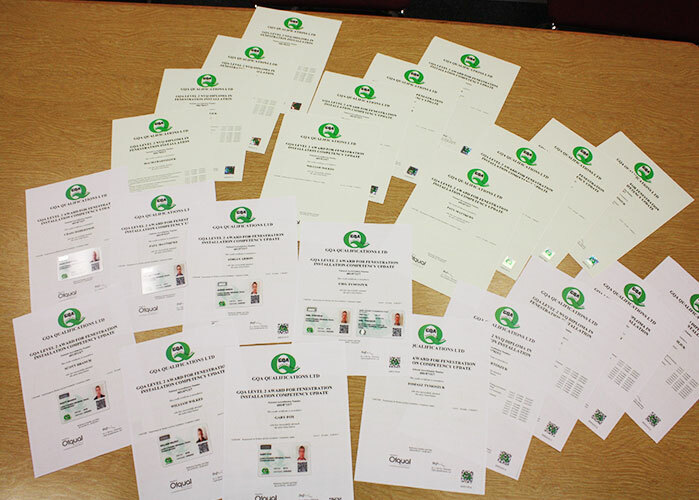 Continuing its commitment to site training and a quality service a number of the Asset Fineline site operations team received their NVQ certificates this week. GQA Level 2 NVQ Diploma in Fenestration Installation along with NVQ Fenestration Installation competency updates were successfully passed. The single “Q” card achieved satisfies both CSCS and MTC requirement and compliments the SSSTS training for lead installers.